If you’re looking for a new family vehicle in Central Illinois, just head on down to a nearby Central Illinois Honda dealer for the 2014 Honda Accord or Odyssey. While we’ve praised their ability to serve families since their debut, Parents magazine had just teamed up with Edmunds.com and named them to their list of the Best Family Cars for 2014, and we couldn’t be happier. We think that one of the main reasons that both of these—and most new Honda models—are good for families comes from their incredible standard features. Without needing to upgrade, you get Bluetooth that lets you stay connected wirelessly while you’re on the road, a high-end touchscreen infotainment system (Honda’s i-MID), a built-in rearview camera (perfect for making sure no kids are running behind as you’re backing up), and more. The fact that the Accord is one of the roomiest sedans we’ve found is just icing on the cake, and the Odyssey’s ability to haul as many as eight passengers makes it a wonderful choice for families of all sizes. Don’t just take our word for it, though. See how a vehicle like the Odyssey compares to the competition. 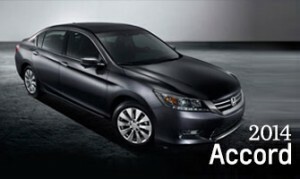 The Accord does similarly against competing midsize sedans. We’re always proud to hear that our vehicles make for great additions to the family fleet, but the only way to know which is right for you is with a test drive. Contact a Central Illinois Honda Dealer near you to set yours up today.